If you ask about touring O’Neill Pine Company’s forests, co-owner Richard Pine will tell you, “it’s a long walk.” In fact, their forests are spread out over 44 properties, comprising 2,250 Forest Stewardship Council® (FSC®) certified acres of forest land in the Chehalis area of Washington. Richard and his wife Debra grow Douglas Fir, some Alder and a small handful of other tree varieties. While they won’t harvest any timber this year, they hope that they will be well positioned to supply FSC certified timber to timber framers and contractors when the real estate market bounces back. Richard and his wife are long-term thinkers. They represent the third generation of O’Neill Pine Company, which started out as Hemphill-O’Neill, and was co-owned by Debra’s grandfather, Robert “Harold” O’Neill. Richard and Debra hope that their children, Kylie and Kerry, might find interest in running the family business one day, either as hands-on operators or as shareholders. The forest management practices Richard and Debra employ are meant to maintain the health and density of the forests well into the future. “We want the next generation to have the same amount of merchandisable timber as we have,” he said. They do this by using a creative configuration for their tree planting and harvesting. For their larger forests, they approach the land like a pie, and maintain seedlings, middle aged trees and older trees on separate pie pieces. No adjacent pie pieces contain trees of the same age. Maintaining trees in different stages of growth means they always have something to harvest and that animals always have a place to live. “We harvest around the pie so we can maintain inter-zone migration,” said Richard. “No pie piece is ever bare, and animals feel safe passing through.” He points out that this is also good for the watershed. For Richard and Debra, it’s important to nurture their employees as well by creating a work-life balance. The standard 30-hour work week at O’Neill Pine Company allows their employees to spend valuable time with their families, relax or even work a second job if they choose. Ten percent of paid work time at O’Neill Pine Company is dedicated to civic and charitable activities, and employees are encouraged to volunteer. Knowing that they’re not the only ones who appreciate forest land, Debra and Richard have made “registered neighbor permits” available to those who live near their forests. The permits allow people to hike, horseback ride and bow hunt in the O’Neill Pine forests, which are full of elk and deer. While many neighbors appreciate this opportunity, Richard fears that the company will have to seek out forest land further away from urban development, which has encroached over time. Additionally, Richard says that some of the nearby tract home residents have lost their appreciation for nature. When thistle started to grow on one of the O’Neill Pine properties during a reforestation process, one neighbor, fearful that the thistle would make its way to his property, strongly encouraged Richard to pave over the forest. Regardless of where O’Neill Pine Company ultimately harvests their timber, the company owners are committed to sustainable forestry and helping reestablish a species of tree indigenous to the Puget Lowlands called the Valley Ponderosa Pine. While the tree makes up a very small portion of their tree stock, their efforts are important to save a species that was impacted first by Native Americans who burned forests to flush out animals for hunting and then by the European settlers who clear cut vast areas for agriculture. The State of Oregon and a few other companies and organizations are involved in this effort as well. “We’re doing this on faith that we’ll have a market for these trees,” said Richard, who added that right now, the Valley Ponderosa Pine is lumped in with the Grand Fir and White Fir for lack of its own identity. O’Neill Pine Company participates in another collaborative venture as well. 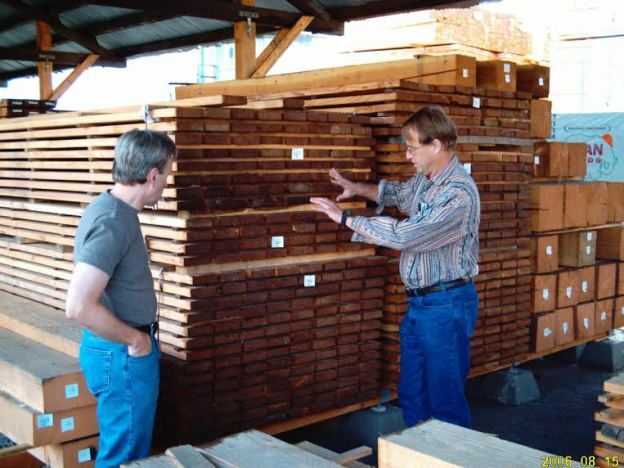 Portland Sustainable Northwest operates a central warehouse supply center where consumers can purchase FSC certified wood. 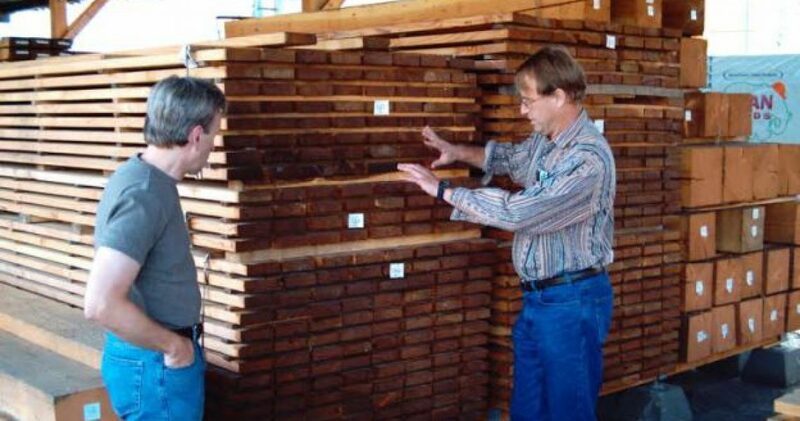 This central clearing house helps forest land owners who might not be able to satisfy large timber or lumber orders on their own, but who want to make their product available to consumers. Richard believes it is innovative, collaborative ideas like this that will help grow the FSC® certified market. “We need to pool resources to meet demand and not leave customers hanging,” he said. For the same reason, he is happy to have the help of Northwest Natural Resource Group (NNRG), which offered group certification as a way to allay the cash output required of forest land owners seeking certification. For Richard and Debra, anything that can help them compete with timber suppliers from states with less cumbersome regulations is tremendously helpful. Richard says that state regulations are like a “hurricane hitting every year” and effectively remove 17 percent of their forests from harvest. Richard says that people need to get back to regarding wood as the environmentally friendly building material and take action accordingly. He says that his wife Debra told their company board, which was split about whether to certify the O’Neill Pine forests, that certification provides a social license feeling of pride.